it seems like i'm having problem with the annual leave calculation. ie. if employee A started work in 1st Nov 2018, and entitlement of annual leave is 18 days prorated monthly; i supposed by the end of year 2018 he has earned roughly 3 days only. Yet, i can't figure out what went wrong with the system showing almost double leaves balance. The leave is counted on workday basis; and the earning policy i checked is on prorated monthly basis. For year 2019 (till date) is accurate, but when i look back at year 2018 for earning and carried over balance, it showed me more days than it should be. LOL, my bad. Actually the calculation that you showed on your first post was correct. The calculation is based on the current date, not based on Valid Until. 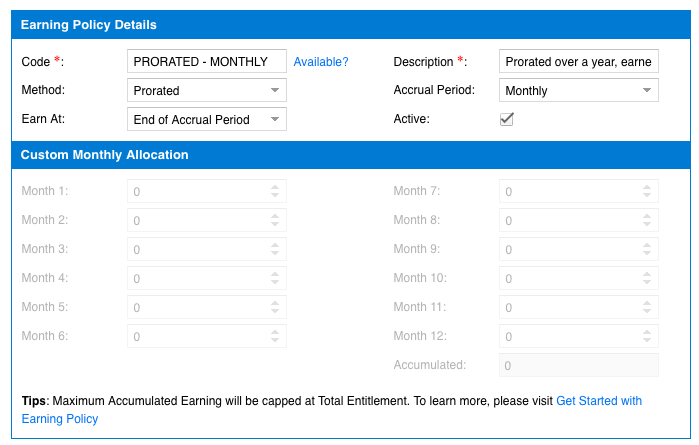 Valid Until is used to control the validity for the earned leaves, instead of calculating the earned leaves. What can i do now because the calculation seems a little bit messy? Even if i adjust the "valid until" date to year 2020 also the calculation don't change.